Dan Rothstein is the codirector of the Right Question Institute and the coauthor of Make Just One Change: Teach Students to Ask Their Own Questions (2011). He is a former National Academy of Education Spencer Fellow and earned a doctorate from the Harvard Graduate School of Education before becoming the director of neighborhood planning for the City of Lawrence, Massachusetts. Rothstein was one of the founders of the Right Question Institute (known as the "Right Question Project") and has collaborated with Luz Santana and other staff at the institute to create curricula, teaching materials, articles, and books that are widely used to support adoption of the Right Question Strategy. His work has been featured on NPR and other media outlets, and he is a frequent presenter and keynote speaker at national conferences and symposia. 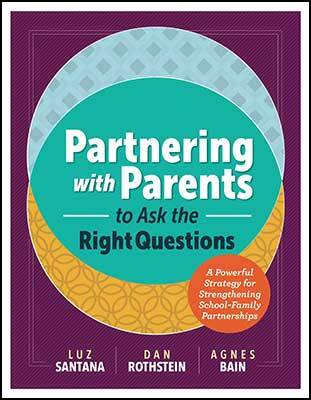 By learning how to ask the "right questions," educators can build effective partnerships with parents who have not been actively involved in their children's schooling.